Phytonutrients ( Anti Oxidants found in plant life) comes from the Greek word “phyto” meaning plant. There are thousands of chemicals found in plants called Phytonutrients or Phytochemicals which help fight against fungi, bug, pollution, sun and germs and found in fruits and vegetables. Flavonoids are one class of Phytonutrients found in plants and provide them with their colourful pigments. There are thousands of chemicals found in plants which help fight against fungi, bug, pollution, sun and germs and found in fruits and vegetables. Hence, eating a diet from plant based foods will help you get the benefits of these rich nutrients. 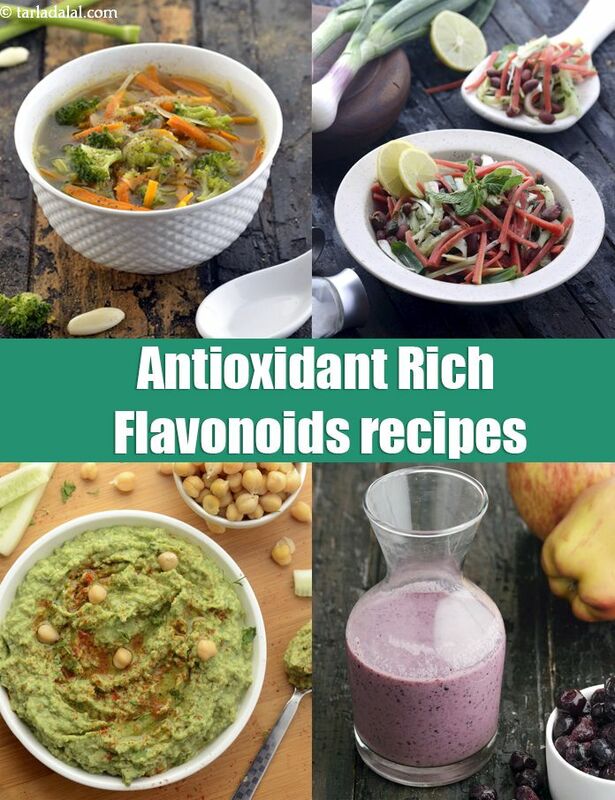 Flavonoids are a strong antioxidant which helps our body fight harmful free radicals. There are about 4,000 types of Flavonoids. Plants are affected by environmental conditions which change through the year. The yield of Flavonoids in summer for leafy vegetables is far more higher than in other seasons. Some Flavonoids like pears and red cabbage offer the same Flavonoids content throughout the year. Cooking seems to reduce the effect of Flavonoids and hence they are better had in Smoothies or juices. Why you should eat different coloured foods? For a healthy life style, ensure that you get an assortment of Flavonoids in your diet and not focus only on one source as each food has its own strength. The richer the assorted colour of fruits and vegetables on your plate, the healthier it is for you. While dark green leafy vegetables will provide you Iron, Berries like Blueberry, Strawberry will give you strong antioxidant benefits and help ward of cancer and provide fibre and potassium. Lentils such as Moong Dal, Urad Dal will provide good protein on the table for Vegetarians. Dark Chocolate is good for your Heart. So the list goes on. Avoid processed food and stay away from Sugar which is the kay cause of body inflammation. We will focus on the top 4 Flavonoids.